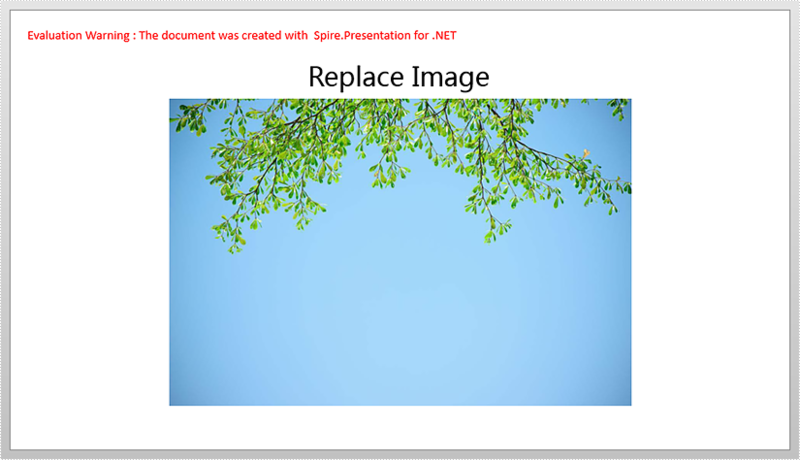 This article demonstrates how to replace an existing image with a new image in a PowerPoint document using Spire.Presentation. 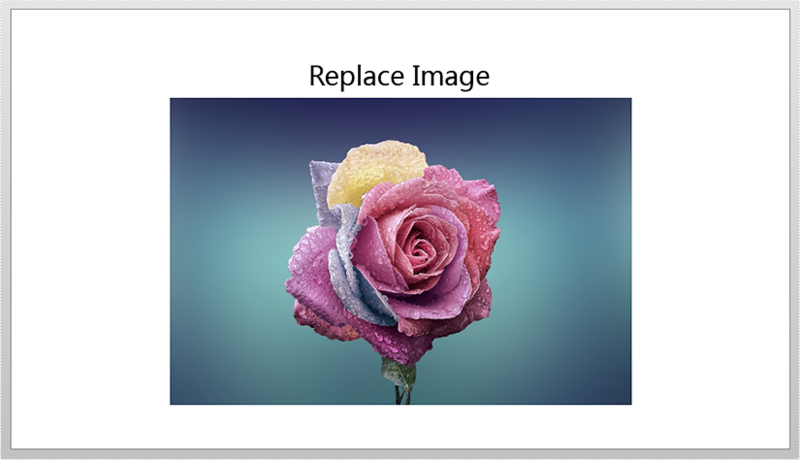 Step 3: Append a new image to replace an existing image. Step 4: Replace the image which title is "image1" with the new image.